He appeared in the Spy Who Loved Me, briefly, but is chiefly remembered for his roles in Gerry Anderson's various productions -some here might recall him- Jeremy Wilkin. It is with great sadness that we report the death of Jeremy Wilkin, who passed away on 19th December 2017 at the age of 87. Jeremy was no stranger to Gerry Anderson fans, having provided the voices for countless characters in many Supermarionation series, starting with Thunderbirds in which he took over the role of Virgil Tracy from David Holliday. In addition to voicing Virgil and other characters in the second series, Jeremy also provided many guest character voices in the feature films Thunderbirds Are Go and Thunderbird 6. After Thunderbirds, Jeremy continued his association with Gerry Anderson by providing the voices of Captain Ochre and Captain Black (prior to being mysteronised) in Captain Scarlet and the Mysterons, along with many other voices in each episode. Jeremy would also lend his impressive range of voices to the final Supermarionation series’ Joe 90 and The Secret Service. When Gerry Anderson made the move from puppetry to live action, Jeremy was cast in Journey to the Far Side of the Sun and later an episode of The Protectors, but it is for his regular role as Skydiver Navigator Lt. Gordon Maxwell in UFO that he is perhaps best known to Gerry Anderson fans. Outside the world of Gerry Anderson, Jeremy had an impressive filmography that included appearances in everything from Doctor Who – Revenge of the Cybermen to big screen outings with Roger Moore’s James Bond in The Spy Who Loved Me. In 2015, Jeremy delighted fans by appearing at the Andercon convention at the Leicester Athena with his fellow Thunderbirds actors and made another appearance with them later that year at a convention in Maidenhead hosted by Fanderson. Delegates enjoyed the humorous moment when Jeremy and fellow Thunderbirds actor Matt Zimmerman discovered that they had been in the same stage play together in the 1950s. We would like to extend our sympathies to Jeremy’s family and friends at this time. Jóhann Jóhannsson has passed away. He was just 48. Not long before he died he suffered the indiginity of being sacked from Blade Runner 2049. Was shocked to read of his passing this afternoon. 48 years old. Unreal. Very sad, considering he was a talented composer with plenty of fresh sounds to offer to Hollywood. Browsing filmographies, only just seen that Bradford Dillman passed almost a month back. Perhaps not well remembered by the many, nonetheless one of those actors who tended to crop up in everything back in the day from Ironside to the Dirty Harry films to Bridge at Remagen etc. not many now from that golden era of British cinema. I was saddened to hear of the passing of Margot Kidder, the perfect Lois Lane to Chris Reeve's peerless Clark Kent/Superman. I had the pleasure of meeting her at a convention a few years ago ... she was a delight. Wonderfully warm and funny. Most people have mentioned "Deliverance" and "Boogie Nights", two fine films. At the same time, I suspect most of us - initially - knew him from the less critically adored movies from his filmography. 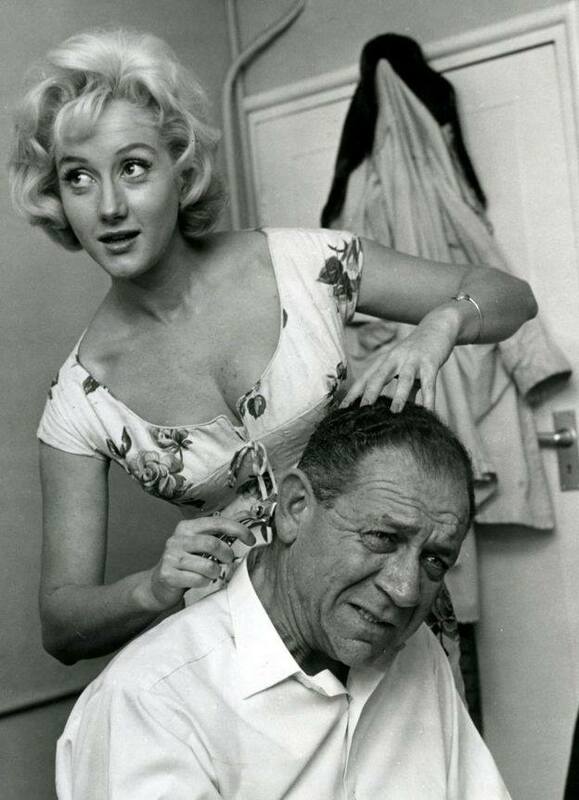 As much as I mourn Reynolds' passing as I do, a chink of childhood films gone forever, must mention that Liz Fraser of Carry On fame passed today. Fine innings of 88 and another gone from that era, it probably leaves Jim Dale and a handful of others if less. I wondered why my account was suddenly in very minute double digits. Ah well, it was a good run. You couldn't hack into the admin for this site could you? I was watching BBC 24 and they were suddenly talking about her. Not even on their webpage. Her voice alone was something else. that was from 1969 which either shows how long Just a Minute has been going or that Parsons has been around a lot longer than Paul Merton jokes about. Met her at a convention at a few years back and chatted about her part in the Colin Baker Who story 'The Two Doctors'. She was lovely. Marvel's legendary 'head honcho' Stan Lee has died at 95. Provided much happy childhood reading and in more recent years, spectacular big and small screen escapism. R.I.P. John Bluthal, latterly of Vicar of Dibley but formerly, amongst many things, of the Q-series and Casino Royale (67) has passed.